Although virtualization increases IT flexibility it can also waste computing resources and create performance bottlenecks if not managed properly. 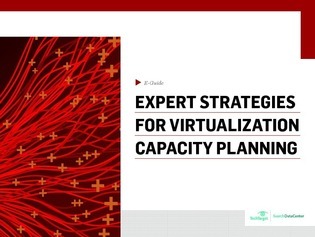 In this expert e-guide from SearchServerVirtualization.com, you will learn how to plan for capacity in virtual environments. This e-guide will also teach you where to consolidate resources and how to leverage disaster recovery in your infrastructure. Read this e-guide to learn about common mistakes and issues overlooked when it comes to capacity planning. And find out what the best way is to approach capacity planning in your virtual environment.